Branding isn’t a logo. It’s not your name. It isn’t some meaningless press release out to the world. It’s more than a strategy laid out in a Google doc. In fact, branding cannot be seen. Branding can only be felt. Think about the most amazing companies you have ever interacted with. Where does that excitement to try on the latest collections Flash Tattoos come from? Why do Apple products alleviate stress and allow for a state of delighted bliss? What makes you engage with REI’s #OptOutside campaign on Twitter, and like, nothing else? How is it that you open every. single. Man Crates email they send you, even though no giftable holidays are coming up? This is branding. This is business mixed with emotion and engagement and expectation. This is mission and customer participation mixed into one. It encompasses your web presence, communications, and products. It’s baked into your product details, customer emails, and shopping cart checkout page. This is the difference between brands who “get it” and those which don’t. Great branding is the most powerful currency a company can have — your single-greatest competitive advantage. People purchase products because of a story, an emotional connection they feel with a brand. As ecommerce owners and managers, building a powerful and engaging online brand is our most important work. It is a KPI that cannot be put to paper –– but do it right, and every single goal will be surpassed. Branding is a KPI that cannot be put to paper –– but do it right, and every single goal will be surpassed. And yet, so few brands invest early and often in their online branding strategy. In fact, it is often an afterthought of success. Something brands get to when they have enough money and time. But you don’t get the opportunity to make a first impression multiple times. How you present your brand across the web matters –– and it matters from day 1. The following best practices are going to sound obvious, but it is exactly the obvious that so many *do not* do. So, beyond the typical best practices, I’ll walk you through specific brand examples that stand out above and beyond the crowd. This is how you win customers and beat out the overwhelming competition on the web, whether you are just getting started or about to re-brand. Always consider who your business is being built for. Remembering the wants and needs of the consumer will dictate your actions as a company and set you on the path of success with your audience. If you’re unsure about who your audience is, you’re not alone. All too often, many brands forget their audiences and focus on the product or the catalog, potentially missing out on valuable information that can increase sales. Take the time to truly reflect on your past purchasers. Look for trends in the analytics and reflect on experiences you’ve had with your customers. Your analytics can be very helpful directionally in helping you understand your customer and their relation to your product and brand. Looking at your store’s overview data, including abandoned cart data, purchase funnel and most popular products is a great place to start. However, it’s helpful to dive into your customer data even further to really understand their behavior and who they are, enabling you to personalize their experience. BigCommerce Insights can help you to do this, though other ecommerce analytics platforms may be helpful as well. BigCommerce Insights cohorts customers for you automatically. You can then export these lists to market specifically to them or to drill down even further into exactly who falls into these categories, what they’ve bought, etc. 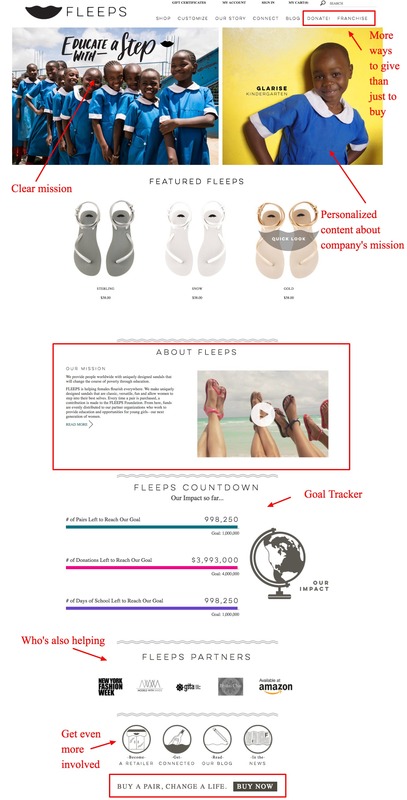 This segmentation is truly the key to unlocking the potential of your ecommerce brand. “We use BigCommerce Insights quite heavily on a day-to-day basis. In fact, it was a key motivator for us going with BigCommerce over Shopify,” says David Berlach, CEO of Bohemian Traders. In this instance, I want to know which of my customers are sticking around the longest, and which products are helping them to do that. To see that, let’s take a quick look at Best Product for Repeat Purchase. This is the cohort view for those who purchased in December, and again by March. This is the cohort view for those who purchased in January, and again by March. What can this data tell you about your customers and your brand? Is it that customers buy with you again at the 90 day mark? Or, are your customers most often gift-buyers, meaning they drop off in January and don’t repurchase until the next major holiday (maybe Mother’s Day or Father’s Day)? Those are questions only you can answer, and often, you will need more data to do so. But these analytics point you in the right direction and get you asking the correct questions so you can better serve your customers, increase your revenue and develop your ecommerce brand. Use these to look for patterns that clearly point to the heart of your business, that is, why people buy your products. Take these buying behaviors and their demographics and reverse engineer your ideal customer. Tales have been told throughout the history of mankind. As people, we are better suited to remember and emotionally connect with others through storytelling than any other medium. You must tell the story of your brand, and you must tell it in a way that builds trust with prospective customers and allows them a glimpse into the oft hidden life of your business. So, tell your start-up story! Why do you exist? Seriously, why are you even in business? There are hundreds of thousands of online businesses. Why should someone choose to give you their money? Those are serious questions –– and every single new customer on your ecommerce site is going to be asking them. Sure, some products may make them fall in love and win their conversion long before they care about who you are, but for the most part, customers want to know you. Just like you want to know them. What does your company stand for? Every brand is built around a certain set of ideals. Convey these to the world. Customers should understand your brand promise – and why it matters. Build a following of faithful fans dedicated your cause. People will join in the fight when they find a vision which matches their own and will associate your company with the efforts of hope. Be sure to champion this change not just on your About Us page, but absolutely everywhere. This is part of your brand. Find out exactly how FLEEPS has made girls’ education worldwide their number #1 mission, and how you can help. And when you click on the “What we believe” tab, you go to this page featuring tons of info about their workers in Peru, as well as this graph on sustainable production for all the products in their online store. Sustainable fashion production isn’t easy. In fact, it costs a lot. But that doesn’t Evan, Fortress of Inca founder, from making sure everyone who works on products for him has a liveable wage –– and enjoys a few beers, too! Never over-promise on your company. People absolutely hate disappointment. You do not want your ecommerce branding to be associated with false promises. Creating an untenable situation where you promise more than you can always deliver will alienate your audience and destroy the trust you worked so ardently to attain. This is most noticeable in return and shipping policies. Here, be honest and forthright about your capabilities. You might not be able to do Amazon-like speed, but honesty will take you much further than a negative review. Remember, your return and shipping policies don’t need to be fancy. They just need to be clear and honest. Tactics that work and a free template to get you started. With shipping policies, remember it is just as important to say where you do ship as it is to say, explicitly, where you do not. Including a Q&A section on your return and shipping policy page helps to address any additional or common customer questions (and provide relief from calls). It is also good for SEO, helping your brand to rank higher in search results — and helping your customers answer the questions that may be preventing them from pulling the trigger on a purchase. Do you create custom items for customers? That makes a returns policy a bit more challenging. Here is how StyleRock’s a custom jewelry brand, addresses the issue. This is possibly the most powerful of all pieces of branding. By tailoring your solution, messaging and marketing to your customer, you instantly eliminate the hassle and heartache of pleasing all. This means, again, that you need to define your market and then speak to that market in a way that resonates with them. Develop your brand persona and understand who they are — and are not. Not everyone is your target market, and not everyone needs to like your messaging. It is important only that it resonates with your target audience. First things first, to pull off a great brand, you need to honestly believe in that brand and likely live that lifestyle yourself. Nine Line is a great example of this. The founder is a veteran, hires veterans and speak directly to veterans and other folks who identify as patriotic. The brand awareness practically takes care of itself with such a defined audience. This messaging is clear throughout the entire website, and their footprint across the web. It is resonating even in their philanthropic arm, where they support wounded veterans and provide monetary support for medical needs. And clearly, this works. Nine Line is one of the top 5 fastest growing retailers in the U.S., according to Inc. magazine. It all began with a T-Shirt, that wasn’t available to any civilian. From their product images to their messaging in their email marketing, Man Crates is funny –– if you like that kind of stuff. As a gift brand, they focus on creating gifts like none other. Specifically, they create a difficult to open box (it requires a crowbar) for men around the world. Their audience of people who buy gifts for men include friends, family and particularly, wives and girlfriends. So, who do you talk to gift buyers in a way that convinces them their recipient will love it? Get yourself some jokes, of course. Here is their homepage, for example, but their entire site is worth your time. Work to refine your ideal customer and place yourself in their shoes. What challenges do you, the customer, face? Use that questions to figure out how you can build trust and truly add value to their lives. With a narrow view of your target market, this becomes infinitely easier and more successful. In an indirect way, refining your brand can be the single most impactful action you can take to improve your conversion rate. 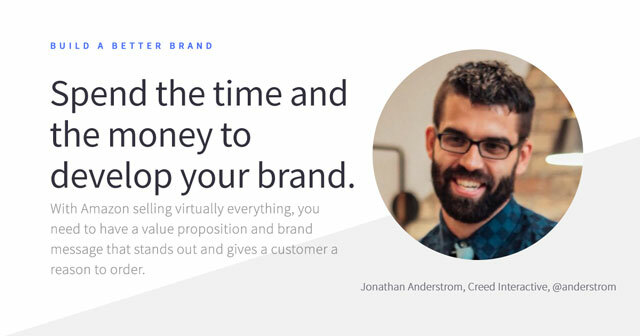 Here is how 29 ecommerce experts recommend you think about branding to provide value, target your market and ultimately create a brand no one can forget. Every brand has a story. Whether that’s the story of how the company was started, of its founder, or another important turning point in the brand’s life, this story needs to be openly shared with the public. Letting customers know what factors have shaped your brand in turn builds their trust. And it helps you stay consistent: any time you’re not sure which direction to go, you can simply ask yourself, “Is this consistent with our brand story?” If it isn’t, scrap it. Today’s consumers can smell a gimmick a mile away. The key to great branding is knowing how your customers view you compared to the competition. This is more commonly known as positioning. From there, you can create a value statement that demonstrates how you are different. Branding is not about a fancy logo or colors. It is actually what people think after seeing or interacting with your brand. In order to drive a positive perception about your brand, you need to focus on driving in consistent benefits in pre-purchase marketing and over-deliver on customer experience. This will enable you build a core customer base of raving fans for your brand. Be consistent. An ecommerce site should be built in accordance with a brand’s brand standards guide. If a brand doesn’t have one, that’s the first place they should start. It’s not just the site colors and the logo, either. Brands must be consistent in the tone of their copy and the overall user experience of the site. For example, if a brand touts its customer service in its messaging, a thousand word dissertation as a return policy for the site isn’t consistent with that. With so many ecommerce brands out there offering similar or identical products, customers have increasing expectations. A brand with a strong ‘why’ provides consumers something to believe in. A by-product of belief is loyalty from customers, which gives you the competitive edge. Branding isn’t just about an identity or logo – it’s your marketing messages, your tone-of-voice, how you present yourselves, how you deliver and respond to your customers, and much more. It is the mental picture your customers visualise of your company and whether or not it resonates with them. From our experience, the No.1 peice of advice for ecommerce businesses in regards to branding is to ‘stay true’. You will have this brand (hopefully) for many, many years. You can evolve, scale, innovate and harness new technology, but staying true with what you stand for as a brand will support your internal vision and external perceptions, increase customer following and loyalty, and help make the right decisions much quicker. Matt Phillips, President, Phillips & Co.
A brand is a wonderful cocktail of your reputation mixed with the gut feel someone has about your company, products or even its founders. To shape your brand, it means focusing not on just information, but appealing to site visitors emotions. Is there something meaningful you can express? Is there a backstory or an aspirational feeling you can provide quickly that will wrap your offering in an aura much larger than a simple ecommerce transaction? Visual Identity is one of the most important aspects of the front-facing commerce business. Without clear direction on visual styling, typography, font selection, or color use, the brand begins to create confusion without even realizing it. Leverage an expert in this process, as design and branding are tightly wound with psychology. Understanding the target demographic, as well as customer intention, can help focus designers on creating memorable visual experiences; and that recognition can last a lifetime. Remember, customers always buy with their eyes first! Create an experience. Millennials are more brand loyal than you think, but they expect more than just advertising to keep their interest. If you can’t provide value outside of your product offering, you won’t keep their attention. Drive engagement with content that adds value to their day and supports the lifestyle your brand represents. Video/UGC/tutorials/lifestyle articles –– it all add value and support your brand’s image. Keeping the attention and subsequently, the conversions, of the largest consumer group is no longer just “nice to have,” it is a necessity if brands are going to compete. Don’t brand yourself a certain way because the “Hippo” likes it. Brand it that way because you’ve done actual research into the competitive market space. Are you the cost-effective option? Once you’ve figured out what else is already out there, and what’s missing, you can drill into fill that void. Take advantage of user-generated content when branding your ecommerce business. From online reviews to social media photos, UGC gives your target audience an inside perspective about your brand and products from the customer’s vantage point. More importantly, integrate UGC within your sales funnel to boost revenue for your business. Care about it. Our branding at KlientBoost is what sets us apart from other agencies on a first impression basis and it has been a huge factor in our growth. Impressions matter, especially in a forever expanding and crowded universe where everyone wants to start a business. Look at a handful of random ecommerce website’s ‘About Us’ pages. Too many business (B2B and B2C included) talk about how they want to be ‘the best’ or ‘treat their customers like royalty’, etc. But what is it that they do? What do they sell? Think about the information that’s critical to your audience’s recognition of your brand, and then keep that consistent in all your messaging and branding efforts. Branding is where everything is decided. The feeling that you communicate, the audience that will respond to your incentives, etc. Therefore, my main advice here is to know your audience well. Know what excites them, what values they treasure. Do market research, collect data, see what your competitors do and how you can be different. And do that again, and again and again. That’s how you’ll stay ahead. Be consistent. Once you’ve hit on a brand message that you think resonates with your target segment, be consistent. Use every communication channel you have, including not only marketing, but customer service and support as well, to reinforce and amplify that message. Ecommerce businesses looking to establish their brand need to stay laser focused on a consistent presentation of their “primary” product. Everything from product copy, images, logos, personalized shopping experiences, and even competitor products need to convey a singular message that what they’re selling is valuable and best bought here. Brands that are inclusive and encourage customers to participate in the development of the brand will have greater loyalty. This cascades down into better retention, referrals, and customer satisfaction. Invest in design and brand identity. A few years ago, if you had a basic ecommerce website it was enough to start a business. Now, the bar is way higher, and the standard is to have a very clean design and a strong identity. Retail business continue to invest millions each year in improving their stores. Online business must do the same for their online presence. Meenal Malik, Head Sales & Customer Relations, Outfy Inc. Brand names are not “established” in a day. It requires a lot of strategic marketing and promotions, before the brand name becomes recognized. Ecommerce businesses should not leave out any avenue for promoting their brand. Social media is a very strong avenue these days to make or break a brand. Promote your products on the social, keep your target audience “engaged” and follow up sales with strong customer support. Design a communication strategy, and follow it! Brands are established over a period of time –– and a plan will help you to march closer to that date in the future. Invest in images. Images get more views in any media, and increase the chances of traffic directing to your estore, building brand recognition. Serious ecommerce businesses have to build branding to create brand loyalty in order to acquire brand equity and attract a bunch of money. The human brain processes images and remembers them forever. Brands can use photos to create the right image of their brands in their consumers’ minds. Investing on building the visual assets, especially photos, will pay off in terms of branding and faster than any other investment made on the textual brand strategy. Let your customers describe your brand to you, and THEN come up with branding and positioning statements. This creates brands that feel more honest. Branding is one area that small and medium sized companies can compete with enterprise level business. Invest in branding now, it will bring a ROI for years and years to come. I’m amazed at the number of brands that skimp on the basic areas like keeping site design clean and consistent, and making sure copy has the right tone and voice. Take the time to put together brand style guides for both visual design and content tone and voice. Make sure you invest the time in cultivating your brand. In the end, it should be something you are proud of. If you show quality and pride in your brand, then that will reflect to the customer. Develop more than a brand. Craft a worldview for your company, including a set of values, commercial goals, and social interests, and infuse all content and communications with this worldview. Then identify a circle of influencers in line with that worldview and see what brands impact their social outreach. It never hurts to see what the successful brands do right, then model your efforts after theirs. Employ a standardized “Style” or “Branding” Guide for your company. Most companies just think about the logo itself and not how it will be applied throughout multiple designers/teams. Know your customer. Learn about their wants, needs, and preferences. Then design layouts, features, and content that fulfills their needs and resonates with their interests and desires. Spend the time and the money to develop your brand. With Amazon selling virtually everything, you need to have a value proposition and brand message that stands out and gives a customer a reason to go through the hassle of ordering from you instead of a one-click Amazon purchase. The #1 piece of advice for ecommerce business in regards to branding is to have a cohesive look all across your social media platforms and blog. As tempting as it can be to post that puppy picture, if it’s not relevant to your niche don’t post it. Building a truly great brand and creating a close relationship with the target customer is an art in and of itself. This crucial piece of the ecommerce puzzle is what separates the “haves and have nots” in the industry.